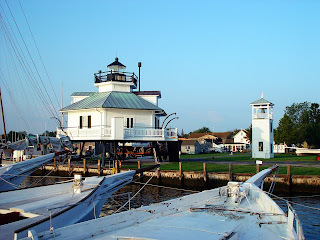 Enjoy a weekend on the Eastern Shore of Maryland. The Antique and Classic Boat Festival at the Chesapeake Bay Maritime Museum in St. Michaels, MD is a popular event to attend on the shore. This annual boat event is the largest of its kind in the Mid-Atlantic region! It features more than 100 antique and classic boats, boat building demonstrations, maritime artists and craftsmen, craft vendors, classic used boats, motors, and nautical flea market, along with live music, food, and more. This event is hosted by the Chesapeake Bay Chapter of the Antique and Classic Boat Society International in cooperation with CBMM.